It was a cold and windy night for the DeKalb County Tiger’s final game of the regular season. 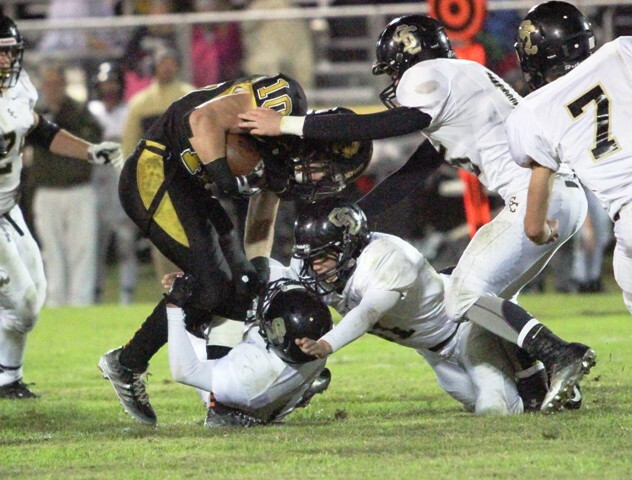 The Tiger’s shutout the Smith Co. Owls to make it back to the playoffs for a school record fourth consecutive year. The 1st quarter was a give and take thanks to a stubborn Tiger Defense. Smith County’s longest drive came on their first possession and was only 39 yards. Steven Jennings and Luke Boss were the workhorses for the Tiger’s offense. The Owl defense held the Tigers to only 23 yards in the 1st quarter. 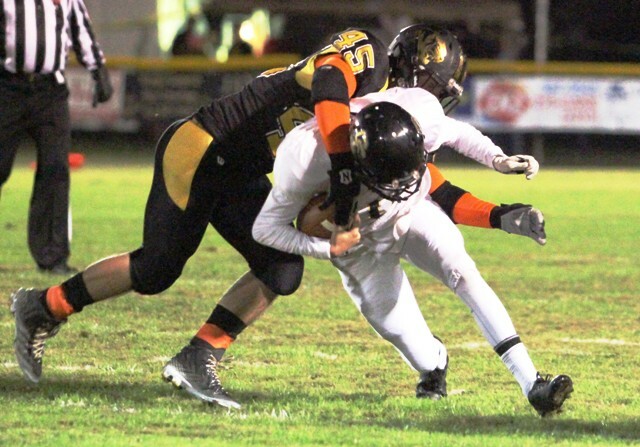 The Tigers had a big 2nd quarter as the Black and Gold Defense held Smith Co to only 16 yards total offense while the Tiger Offense had a total of 113 yards. On the 2nd possession of the quarter, Steven Jennings broke free for a 34 yard run that got the Tigers down into Owl territory. Matthew Poss had a 16 yard pass reception after Aaron Patterson went down with a broken ankle while making an 8 yard pass reception. After 2 handoffs to Luke Boss, Jennings kept the ball and ran 10 yards for the first score of the game. Matthew Poss came on to make the extra point and DeKalb led Smith Co 7-0. Smith Co got the ball back but only managed to get 10 yards before the half ended. The 3rd quarter was similar to the 1st with DeKalb and Smith trading field possession, but no scoring. DeKalb only had 1 yard offense thanks to a couple of penalties and a QB sack. The 4th quarter started with DeKalb driving the ball 81 yards for their 2nd and final TD of the regular season. Jennings hit Jonathan Munoz for a 24 yard pass reception then, Jennings kept the ball for another 24 yard gain. After 2 more pass receptions by Munoz and 3 handoffs to Boss, Jennings kept the ball and scampered 11 yards into the end zone. After the missed extra point DeKalb led 13-0. After 2 more possessions by both teams the game, and regular season, came to an end, with DeKalb earning its 5th win of the season, making them playoff eligible. Steven Jennings ended up with 126 rushing yards and 80 yards passing. #10 Luke Boss had 129 total yards. Aaron Patterson had 22 yards. Matthew Poss had 16 yards. Jonathan Munoz had 40 yards. With the win, the Tigers earned a #5 seed and will travel to Chattanooga this Friday night to take on #4 seeded Signal Mountain High School in the first round of the TSSAA State Playoffs. In all, 5 of the 7 District 8AA teams advanced to the postseason this year. District Champion Livingston Academy will enter the postseason as a 2 seed and will host 7 seeded Chattanooga Central. The Macon County Tigers will travel east to face number 1 seeded Loudon. An upset here could potentially mean a rematch with the Tigers at home in Smithville the following week. 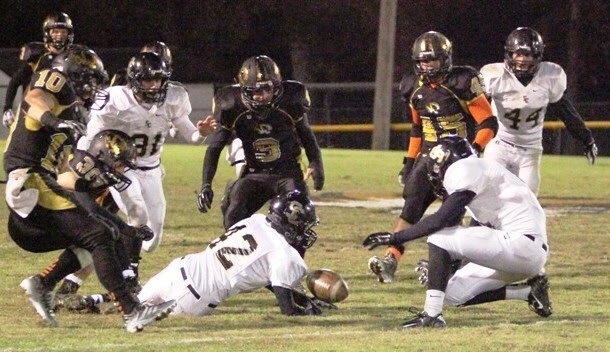 Perhaps the most intriguing game from District 8AA will be played in Baxter Friday night, as number 4 seeded Upperman will host district rival York in the first round. 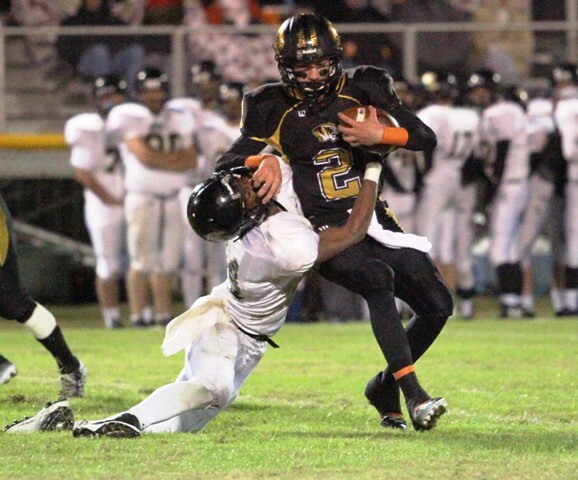 YAI defeated Upperman 34-12 on October 3rd, but finished behind Upperman in the district with a 5-5 record.